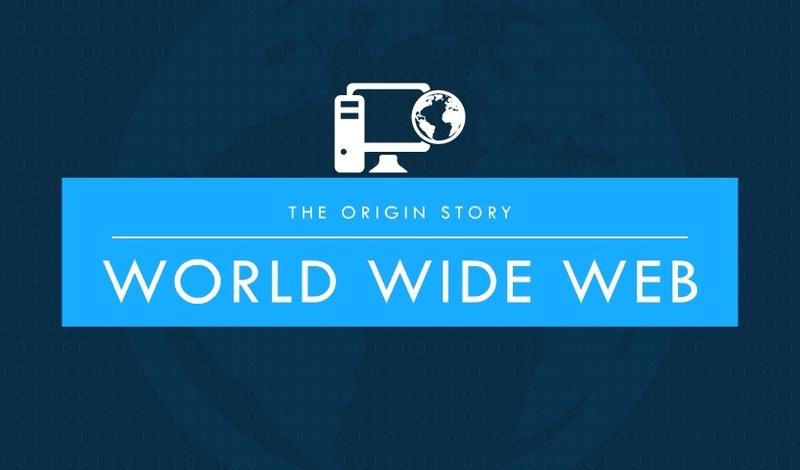 We’ve all been using the World Wide Web for many years. It has become part of our daily lives, whether you blurt out your life’s activities on social media, watching funny cat videos on YouTube, or simply Googling “Where to hide the body…”. The World Wide Web has become our new best friend. We are all so used to it being there, but do you know where it comes from, where it all started, and what the original idea behind this world phenomenon was? Sit closer kids, adults, and others, and let me tell you a little story of a man named Sir Tim Berners-Lee, the father of the World Wide Web. Firstly, don’t get the World Wide Web confused with the Internet. The World Wide Web is the visual representation of all the interlinked hypertext documents living on the Internet, i.e. web pages. The Internet is an interconnected computer network that uses the standard Internet protocol suite (TCP/IP) to link several billion devices across the globe. But I digress - let me take you a few years back in history, specifically to 8 June 1955, when Mary Lee Woods gave birth to a little boy named Timothy John Berners-Lee. Mary and her husband, Conway Berners-Lee, didn’t know that they have conceived someone that would revolutionize the way we share information with one another. Tim grew up in London, England, and was one of four children. He was a railway enthusiast as a child and always loved to observe trains and play with his own railway sets. It was this passion of his that led to his love of electronics. As all children do with their toys, Tim took apart his model railway to explore and study how the mechanism of this object worked, and thus feeding his curiosity that led to his vast knowledge of electronics. In his later years, Tim graduated from The Queen’s College of the University of Oxford with a first-class degree in physics. He then went on to work for CERN (The European Organization for Nuclear Research) as a software engineer. There were many scientists working at CERN in various locations, and the biggest problem they had was the need to exchange and share their findings with one another in an easier and faster way as mail pigeons were just not gutting it. Tim saw and understood this need. 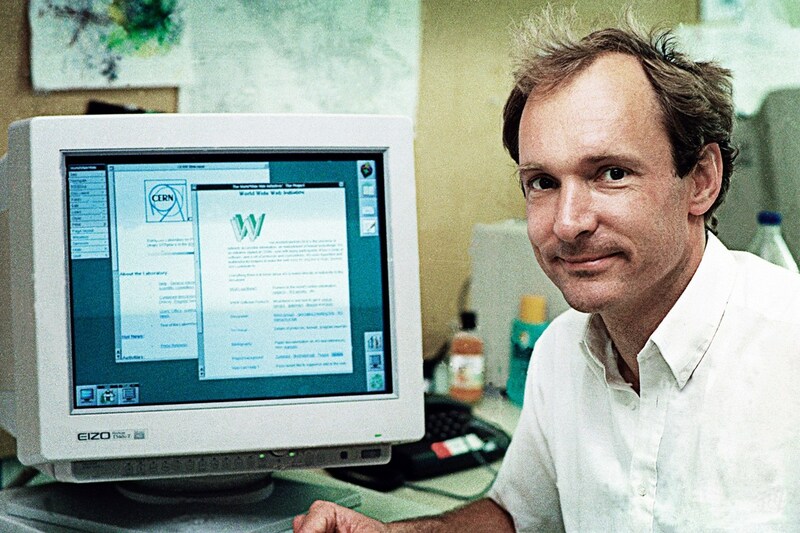 In 1989 Tim, while still working at CERN, made the first communication between a web browser and server via the Internet. In other words, for you non-nerds out there, Tim created the World Wide Web. This was a revelation, as he basically made the largest documentation system ever created and ever will exist. The first ever website was built at CERN on 6 August 1991 and was running on a web server using a NeXT computer. For those out there that are not familiar with NeXT, it was a company founded by a legend in his own rights, the late Mr. Steve Jobs. The address of the first website is info.cern.ch. Go forth and visit this simple, yet extraordinary website. May you reminisce and appreciate how far we’ve come in web technologies! Mr. Berners-Lee is the director and founder of the World Wide Web Consortium (W3C), a group set up to oversee the ongoing developments of standards for the World Wide Web. This man is a visionary, and realized the need people had and will have for an online documentation system. So next time you are clicking and scrolling away on the World Wide Web while procrastinating at work, just take a few moments to appreciate the digital remarkableness that is in front of you.